Hurry over and check out the Sperry Top-Sider sale with prices starting as low as $24.99 Shipped. One of my favorite deals is these Sperry Top-Sider Kids Bahama (Little Kid/Big Kid) shoes for $29.99 Shipped (Retail $50). As always you'll find great deals on athletic shoes, apparel, accessories and much more so be sure to browse around the site for more hot bargains! Just a reminder in case you missed it last time! 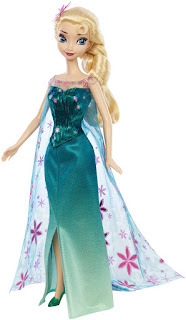 Right now you can get this Best Seller Disney Frozen Elsa Doll for $11.89 (Retail $14.99). -Springtime has arrived for Elsa! -Inspires fashionable fun and enchanting play action!